A clothes hamper basketball hoop is a great way to motivate kids to actually pick up after themselves. It can also be used as a traditional over the door basketball hoop. This is a handy tool to actually get kids excited about cleaning their room. 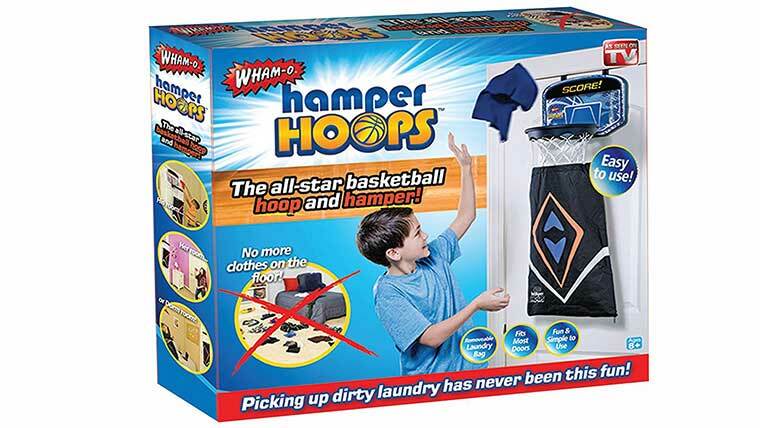 It includes a backboard, hoop, net, plus a laundry bag. The bottom of the laundry bag can be unzipped and emptied. The basketball is not included. But just search for hamper hooks mini foam ball if you want to also get an ideal sized laundry basketball. Mom with love this present as well. Kids will actually want to put their dirty laundry in the hamper. It easily fits over a sliding closet door. 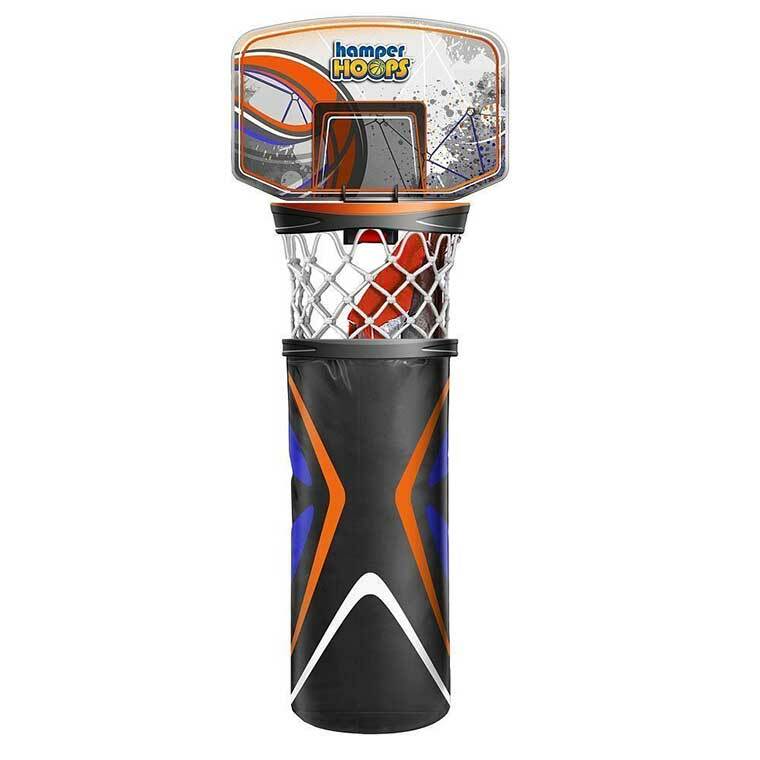 You could also include a ball that the kids can use to shoot into the hamper when there are no clothes inside. Click the image to read reviews on amazon.